This is designed to blend in, and/or, enhance the appearance of the surrounding timber decor. It is widely used on bars, counters, clubs, showrooms etc. where only a timber product is acceptable. 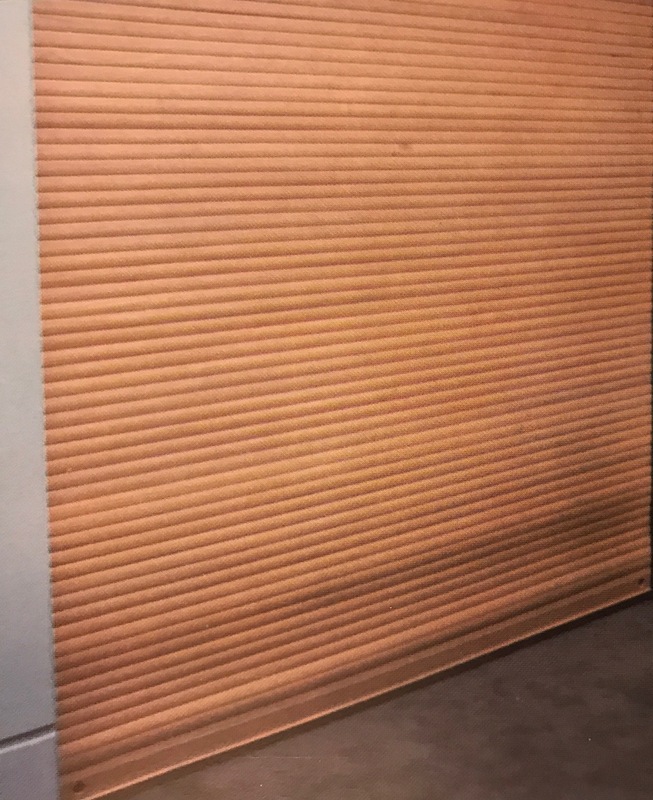 The timber roller shutter will be as manufactured by 3rd Generation Doors. The curtain will be constructed using Moulded Mountain Ash slats lined with copper, spring steel straps, and cushioned by cotton webbing. Each individual slat will be linked together using counter sunk wood screws, screwed through the back face and internal lining. Guide channels, bottom rails, and/or mullions will be manufactured using Mountain Ash timber, sanded and ready to receive finish. The timber roller shutter curtain will be manufactured from specially moulded 45mm long by 18mm wide timber slats. 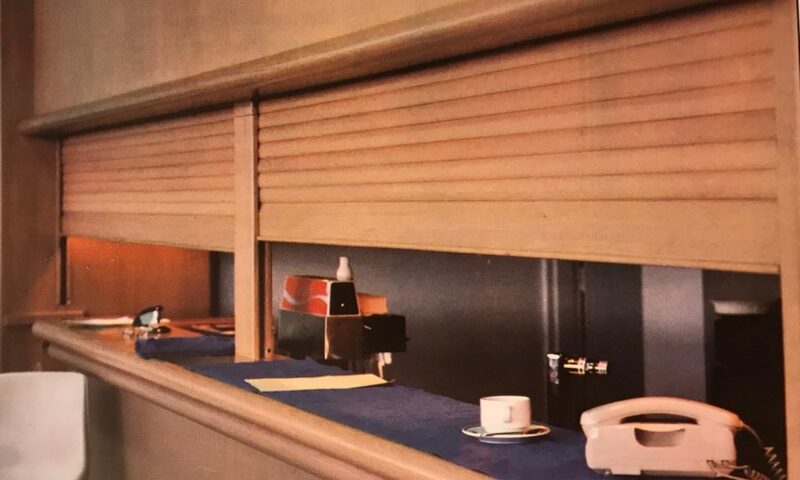 The slats will be mortised internally at equal spacing throughout its entire length and will be lined alternatively with spring steel straps and the balance of the mortises will be lined with copper strap cushioned by cotton webbing, screw fixed to each slat at the back of the curtain. The bottom rail will be manufactured from a specially moulded timber (member) having a finished size of 90mm long by 18mm wide. 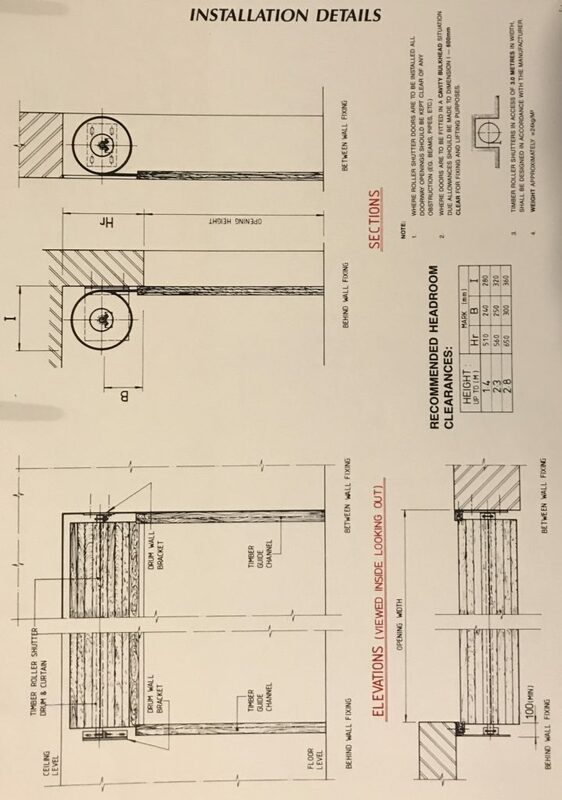 Standard locking will be by means of two off 150mm long chrome plated barrel bolts, one off to each side of timber roller shutter door. 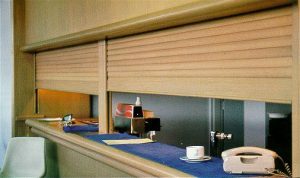 Curtain guide channels will be manufactured from specially moulded timber members having a finished size of 65mm long by 55mm wide with an incorporated rebate of 30mm deep by 22mm wide. Manual operation up to 3.0 meters wide by 2.7 meters high. Chain operation or motorisation optional. Remote controlled as selected and/or specified. Recommended up to 5.2 m sq. in area and up to 3.0 meters maximum width. The curtain, bottom rail, guide channels and mullions will be moulded from Mountain Ash Timbers. Finish to timber roller shutter door will be sanded smooth ready to receive polish and/or stain only (by others). NOTE: Polyurethane or other clear finishes are not recommended. The roller drum will be manufactured from 150mm or 200mm diameter 'spiral lock tube' attached to nylon drum wheel ends. The roller drum is fitted with a spring counter balance mechanism and a 40mm O.D. shaft. 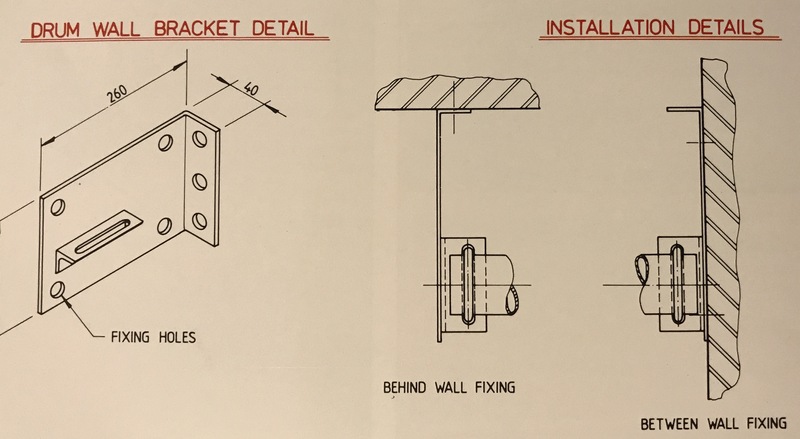 The timber roller shutter drum wall support brackets will be manufactured from either mild steel plate having a minimum thickness of 3mm (between wall fixing) or mild steel angle type brackets (behind wall fixing) both to be matched to suit door size and weight. 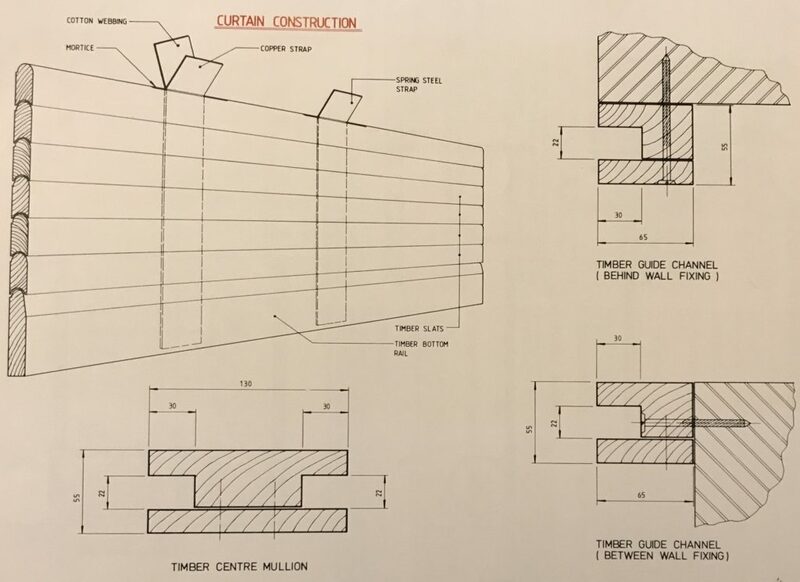 Timber centre door mullions shall be of selected timber as per channel guides having a nominal width of 130mm by 55mm depth and incorporated rebates at each end measuring 30mm deep by 22mm wide and will be of a lift-out type.